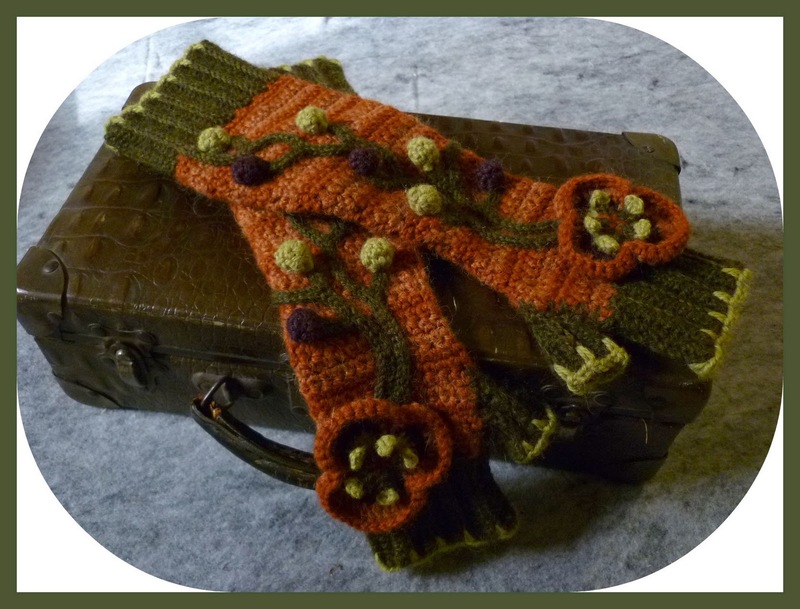 Stitch Story: Introducing The Helleborus Gloves! I am so happy to be able to tell you about the Helleborus gloves I designed for Tangled Magazine! I was excited when I found out about this unique online magazine, and I really wanted to be included in it. I originally submitted a wristlet design with the same style flower, vines and berries embellishing it. 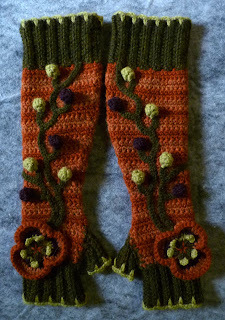 Tangled later contacted me, to ask if I would mind using the same embellishment on some mittens or fingerless gloves. 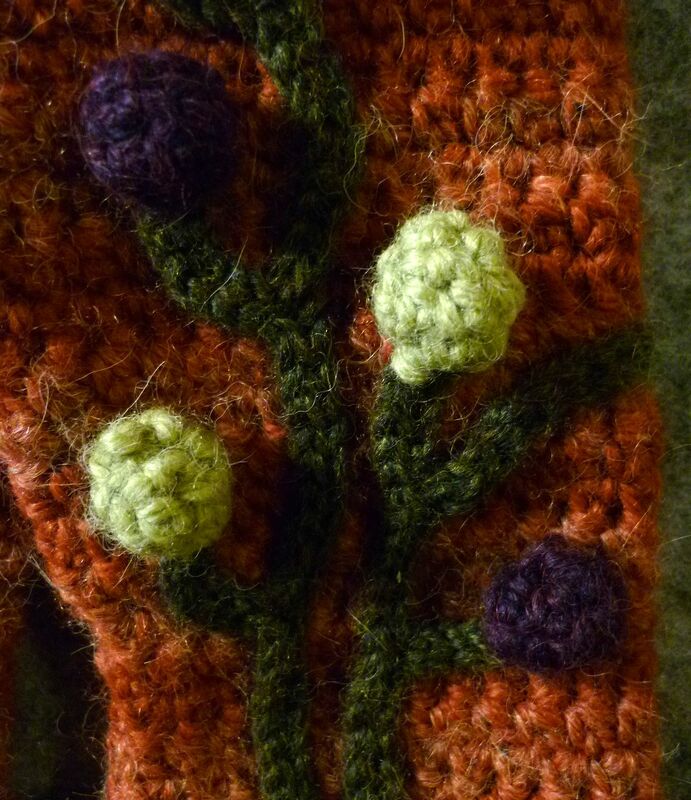 I thought the vines would be showcased well on some elbow length gloves, so we agreed that I would make them for their Winter issue. When it was time to decide on yarn, I immediately thought of Berroco's Ultra Alpaca, as it is wonderful to work with and comes in an amazing array of colors. For the background, I chose 2 colors that were very close, so that it would look almost like a shaded yarn, but I would have control as to where the colors would appear. After I chose the base colors, the others just called out to me! 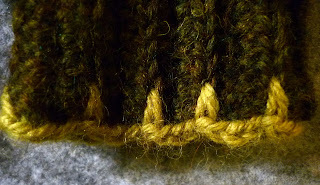 Thank you Berroco for generously providing the yarn support for this project! After the fun of choosing the yarn colors, it was time to work out the shape of the gloves. I really wanted them to be fitted so they would act as a canvas for the vines. It was an interesting learning experience, and it made me look at the shape of the arm in a way I never had before. It took a few fittings and adjustments to get the shape just right, but it was worth every minute when I saw the elegance of the finished gloves. It is fairly easy to alter the size of the gloves to custom fit them to your arm, and some guidelines for doing so are included in the pattern. There is a diagram provided to help you place the vines, but feel free to arrange them however you please. They could even be different on each glove. The main goal is to have fun with this pattern! hooray! i love your color sense, these are really beautiful gloves. There's a lot I love about these but I think my favorite part is that you've stated the goal is to have fun with the pattern! Thank you, CrochetBlogger! 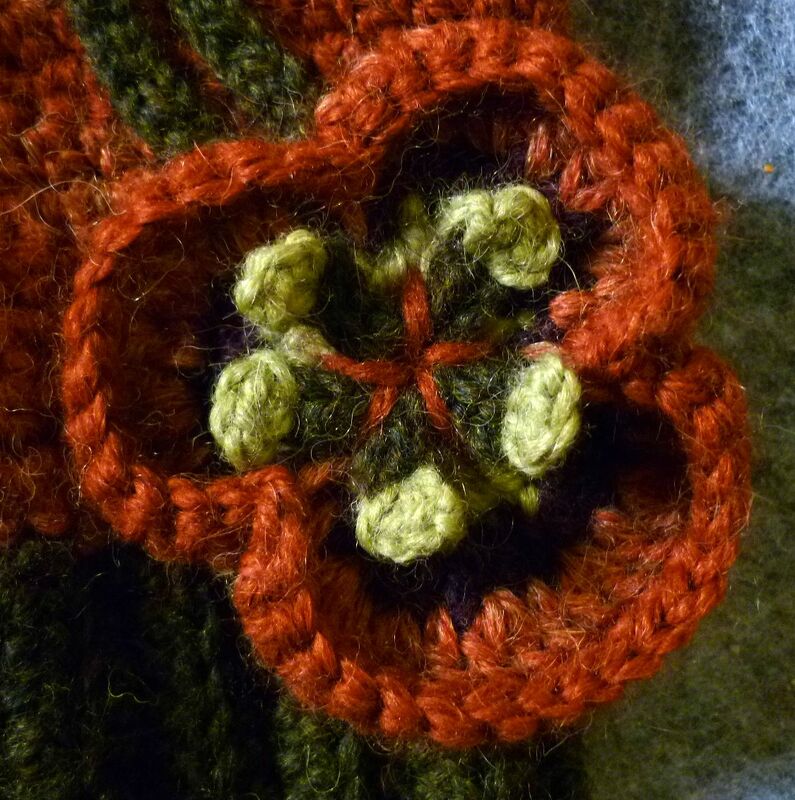 It is only worth crocheting if you enjoy the process and the outcome!